SKU: N/A. Tags: Clear Cannabis Oil, CLEAR Cannabis Oil Cartridge, Clear Marijuana, Clear Marijuana oil, Clear Marijuana Oil Cartridge, CLEAR Marijuana Oil santa barbara, CLEAR Oil Cartridge. This is the newest Technology in Marijuana, the Clear Triple Distilled cannabis oil cartridges, available at PotValet. Hi Tone goes through a unique process of triple distillation to ensure their cartridges hit 91% THC purity. This product is pure Marijuana oil and cannot be found anywhere but PotValet. Pot Valet brings the best products to all patients and rest assured, this Clear cartridge is 91% THC and the purest, clearest cartridge you will ever try. 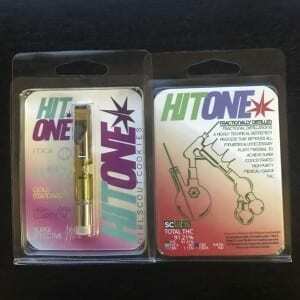 How to use these Hi Tone CLEAR Marijuana Oil Cartridges (Hybrid)? If you have an e-pen, then this cartridge will most likely fit the conventional E-pens. It is a high tech cartridge that has been designed to work in most e-pen vaporizers and not get clogged. This is THC in the purest form, actually Clear and triple distilled, to ensure the highest purity. It’s CO2 extracted, tipple distilled and provides around 91% THC content. Dam that was the purest cartridge i have ever had super delicious. Great product !! as a user,I highly recommended. Super great and Effective product!!! !